This new event is a spin-off of the Viva Big Bend Music Festival which took place for the first time last summer. The food festival will showcase great restaurants and food trailers, live music and a variety of food-related activities—all packed into three days in far West Texas. 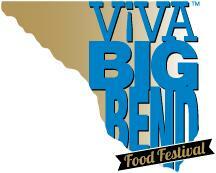 Viva Big Bend Food Festival takes place April 4-6, 2013. There's an opening night party at the Granada Theatre with area restaurants in attendance and live music. Cooking classes, presentations, happy hours, tastings and tours are planned during the weekend. More than a dozen musical acts will also perform. Passes are just $50! Ask around to find the free performances by Ashley Monical, Bonnie Bishop, Christa Russell, Matt Skinner, Philip Q. Morrow, and Robert Cline Jr.